Dr. Subramanian (Mani) Vadari is founder and President of Modern Grid Solutions. Dr. Vadari brings 25 years of experience delivering solutions to electric utility industry focusing on Transmission/Distribution grid operations, Generation operations, Energy markets, and Smart Grid. His roles have primarily been Business Architect or solution delivery for many leading utility companies in North America and the world. 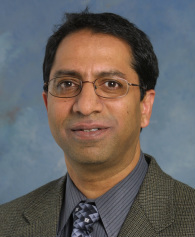 Dr. Vadari is considered a Smart Grid subject matter expert, offering much sought-after expertise in setting strategic and technical direction for developing the electric system of the future. Dr. Vadari’s key focus is on building viable and successful businesses. Prior to founding Modern Grid Solutions, Dr. Vadari was at Battelle where he founded a new business unit anchored by an industry leading demand management product. Prior to Battelle, Dr. Vadari was at other global solutions providers like Accenture and Alstom Grid where he was in a lead capacity. A frequent keynoter at industry events in US and abroad, he serves on boards of several companies and industry groups like Utility Horizons, Micro Grid World Forum 2013, GridWise alliance and Smart Grid Roadshow. Dr. Vadari’s Smart Grid Training is delivered to utilities and their vendors to educate the executives and management of the new workforce. Dr. Vadari book “Electric System Operations – Evolution to the Modern Grid” is available at leading book-sellers and being received with 5 Star reviews by industry leaders. Dr. Vadari was also recently named as a 2012 Smart Grid Pioneer by Smart Grid Today.